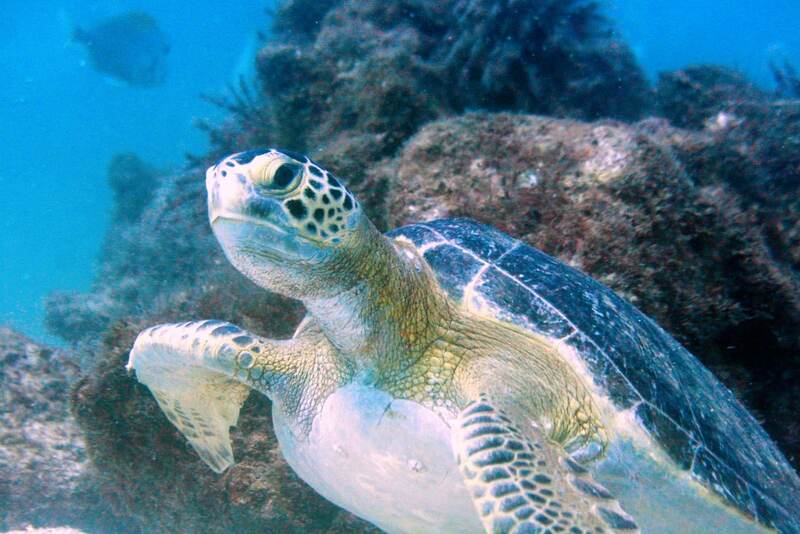 Sea Turtles are one of the most ancient species living on this planet. Biologist believe that they survived the extinction of the dinosaurs. Will they be able to outlive humans? Sea turtles have traditionally served as a food source, historically this has been a custom of many coastal communities throughout tropical and subtropical regions around the world. 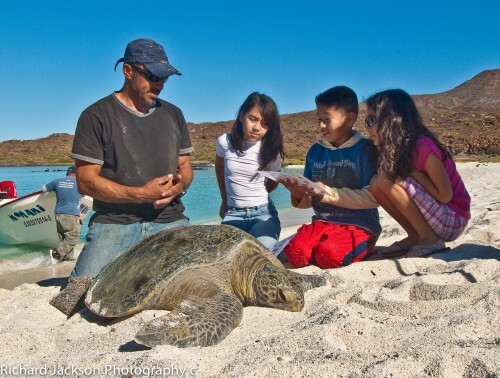 Currently, sea turtles have a greater value to attract tourists who want to see nature in its wild state or dive in the crystal clear waters of the Sea of Cortez. As well as thousands of people who visit the beaches to observe the nesting sea turtles. Therefore, sea turtles are a source of economic wealth for the communities. In November of 1986, sea turtle reserves and refuge sites were designated as areas of protection, conservation, repopulation, development and control, of the different species of sea turtle, the places where such species nest and spawn; at the end of May 1990 the Federal government established a ban on exploitation of all sea turtle species in waters of federal jurisdiction of the Gulf of Mexico and the Caribbean Sea, as well as in the Pacific Ocean, including the Gulf of California. Finally, although sea turtles are considered to be “significant” for their economic value, for the ancient cultural relation that we have with them or simply, or for being charismatic animals, the sea turtles are part of an ecosystem that we have scarcely begun to understand. The list of environments benefited by the sea turtles begins with the same beaches where they are born and nest. Every year after nesting, the turtles stir up thousands of tons of sand which allows the beach to be healthier. Also, the large number of eggs that they deposit means an enormous energy contribution in the food chain of an infinite number of animals from insects and crabs, birds, and mammals. In a few words, the sea turtles are the link between the sea and land. I do not imagine the Sea of Cortez without sea turtles, and hope that these amazing animals are adopted in the heart of each and every one of us, so that we can keep on enjoying the symbolic and moving liberation of the young turtles to the sea, and be able to say: Good luck, tortuguita!